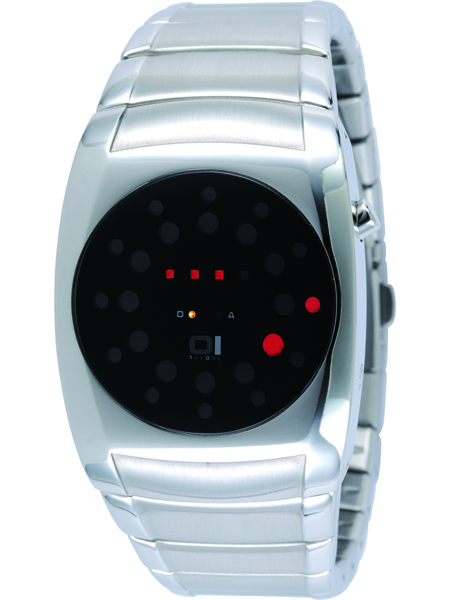 The LEDs in the interior ring show the hours from 1 �12. The LED in the middle row stand for the minutes from 1 �4. The time is always visible �without watch hands. After a short time you can read the time very easily and by the way it sharpens your mind. The watches of Binary OI are delivered with a detailed instruction sheet. However, we are shure that you can leave it away after a short time.